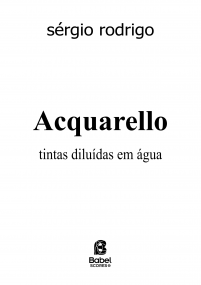 Sérgio Rodrigo (b. 1983. Diamantina. Brazil) studied composition at the Federal University of Minas Gerais bachelor’s and master’s degree. 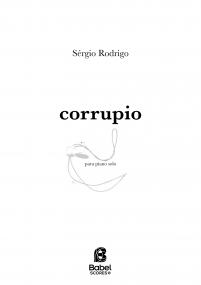 Rodrigo has participated in several national and international composition festivals, particularly the International Festival at Campos do Jordão, Festival Etchings of the Contemporary Music (France), Domaine Forget (Canada), Musicarte (Panamá), Zeitkunst (Germany) ManiFeste (Paris), Time of Music (Finland), and Venice Biennale (Italy). At these festivals he met composers such as Silvio Ferraz, Flo Menezes, Dante Grela, Edgar Alandia, Mario Lavista, Claude Ledoux, Lee Hyla, Stefano Gervasoni, Denys Bouliane, John Rea, Roberto Sierra, Lasse Thoresen, Samir Odeh-Tamimi, Peter Eötvos, George Benjamin, Chaya Czernowin and Brain Ferneyhough. 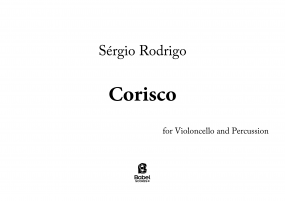 His work has received important awards in Brazil: he was two-time winner of the Camargo Guarnieri composition award (one of the most important in the country) and also the “Tinta Fresca” orchestral composition award. 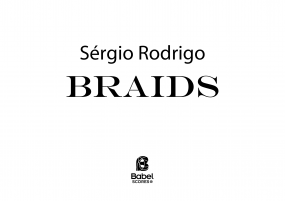 In 2012, his piece “Braids” has been awarded during the Festival Domaine Forget in Canada and he received a commission by the Nouvel Ensemble Modern for 2013. 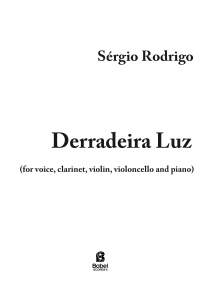 In 2013 Sérgio Rodrigo was composer in residence at Festival Zeitkunst in Berlin working in a collaborative project involving Brazilian and German poets. Important groups in Brazil and abroad such as Ensemble Intercontemporain, Radio France Philharmonic Orchestra, Nouvel Ensemble Moderne, Exaudi Vocal Ensemble, Nikel Ensemble, Philharmonic Orchestra of Minas Gerais, Camerata Aberta, among others, have performed his music. Since 2015 he is a student at the Accademia di Santa Cecilia, in Rome, under Ivan Fedele.